Like many of you, I have spent the last few weeks hearing stories of behavior by elected officials that I find truly disturbing. To be clear, this behavior is absolutely unacceptable. To all those who have spoken out: thank you. The #MeToo movement has already changed lives and brought to light countless instances of harassment and abuse, from Hollywood to Congress to Harrisburg to our everyday lives. Women everywhere are sharing stories and traumas that, only months ago, would have felt forbidden. The behavior they’re describing is horrible — but unsurprising. As women, we’re taught by society to feel ashamed — of our bodies, of our minds — and that somehow we are to blame for the behavior of others. Shame is a very powerful tool — and it’s made even more powerful when it’s wielded by a person who has power over you. There is no place in our movement for this kind of behavior. Before running for office, I worked for a decade as a reporter. 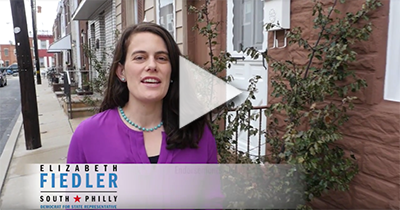 As a young woman in my mid-20’s who was just starting out in my professional life, my goal was to work hard, build a career, hold politicians accountable, and tell the stories of Philadelphians. Day in and day out I did that. During that time I also had many experiences that were difficult to endure: offensive comments, treatment and behavior I received because of one simple fact: I was a woman. Many of you have reached out and shared very personal stories from your private and professional lives. It is not easy to address this behavior, especially when the person targeting you holds power. Whether you speak up immediately, after a year, five years, ten or never — know that I stand beside you. Your experiences are valid and real. My experiences are valid and real. bodies and at minimizing our role in the world. If we don’t smile and laugh in an attempt to hide our discomfort, we’re further targeted. Enough is enough. I admire the work being done by lawmakers in Harrisburg to advance legislation that would ban non-disclosure agreements that mask the names of General Assembly members who harass, prohibit General Assembly members from using taxpayer funds to pay settlement costs, and provide for other reforms . I support efforts of this kind, and as a state representative will move to advance any legislation that protects victims of abuse and holds legislators accountable. We need more women in elected office, holding positions of power, leading our country and our communities. As a city, a state and a country we face big challenges: from fixing our broken healthcare system, to fully funding our schools and helping people who are struggling with drug addiction. We need brave, fearless leaders who will fight for us and who are not afraid to confront power on our behalf.